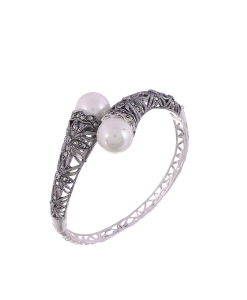 The Marcasite silver bangles at Divine Jewels come in various design options and colours. The bangles are made in sterling silver and the high quality Marcasite stones are used to give the shine to the jewelry. The Marcasite silver bangles have amazing designs such as the goddess bangles, colourful bangles and even the vintage ones.